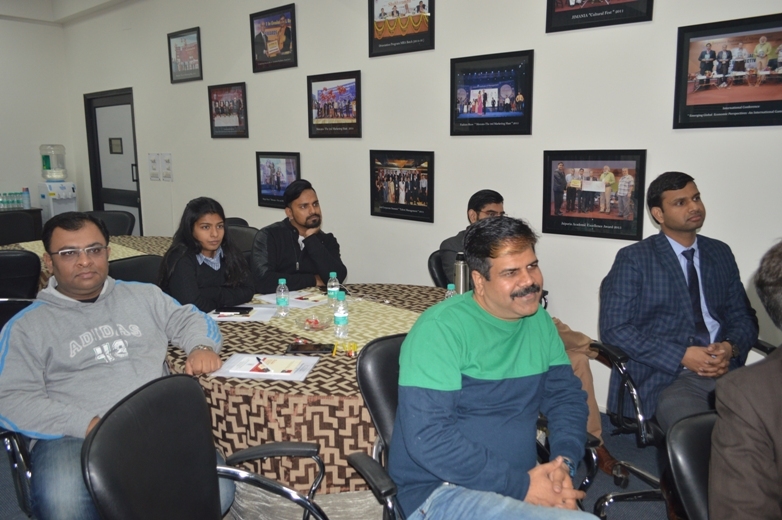 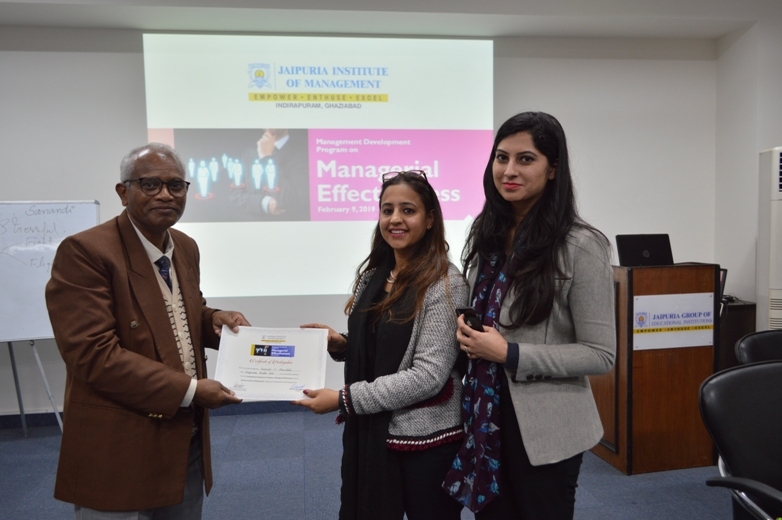 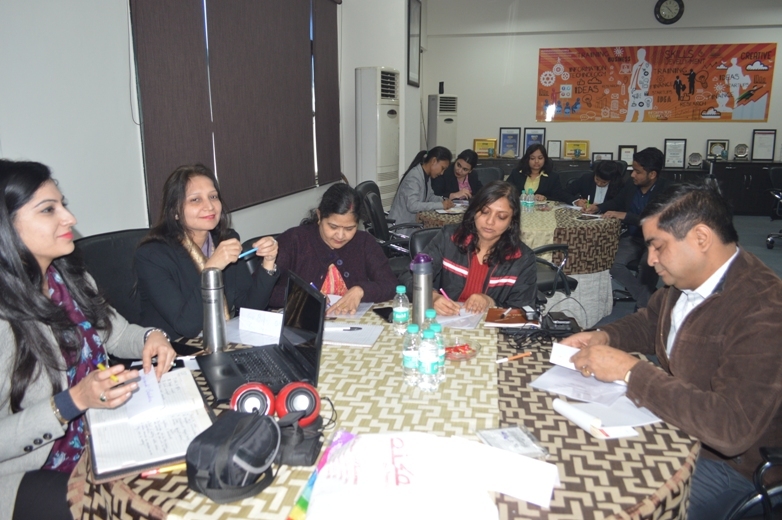 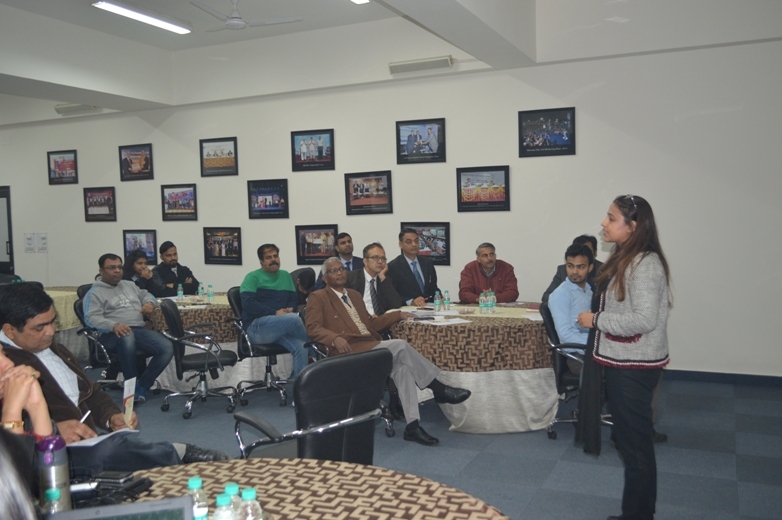 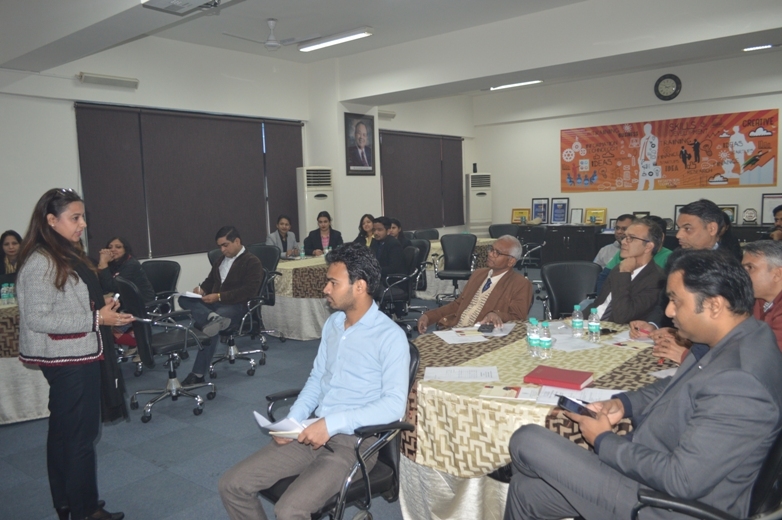 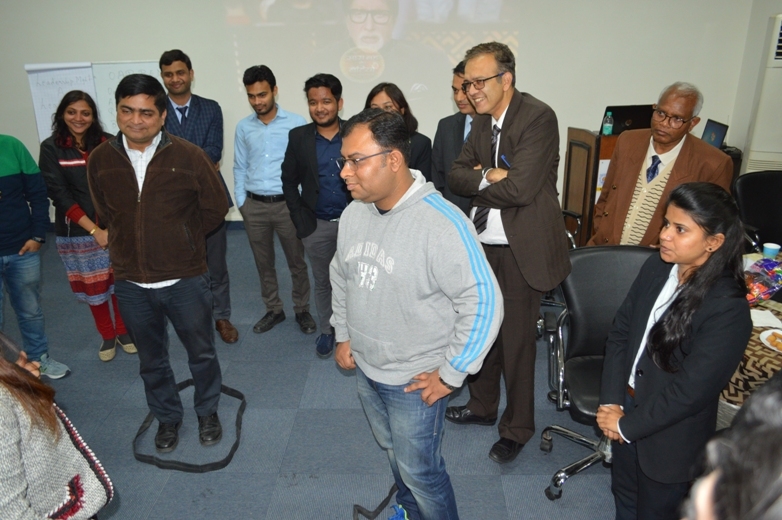 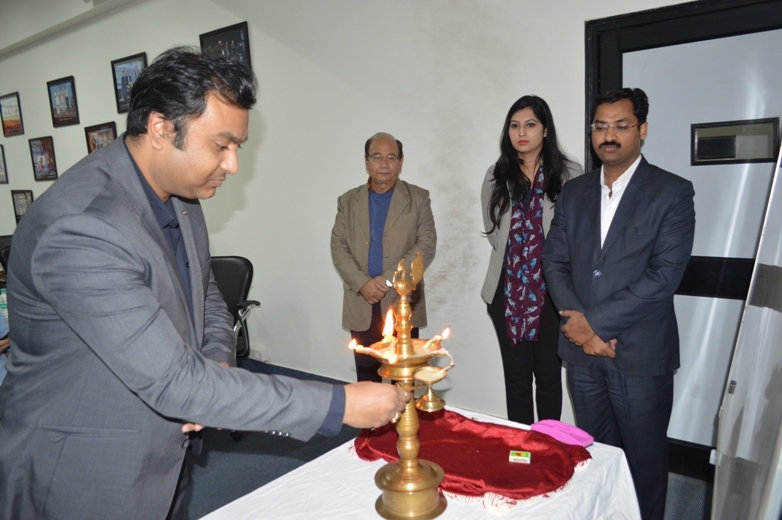 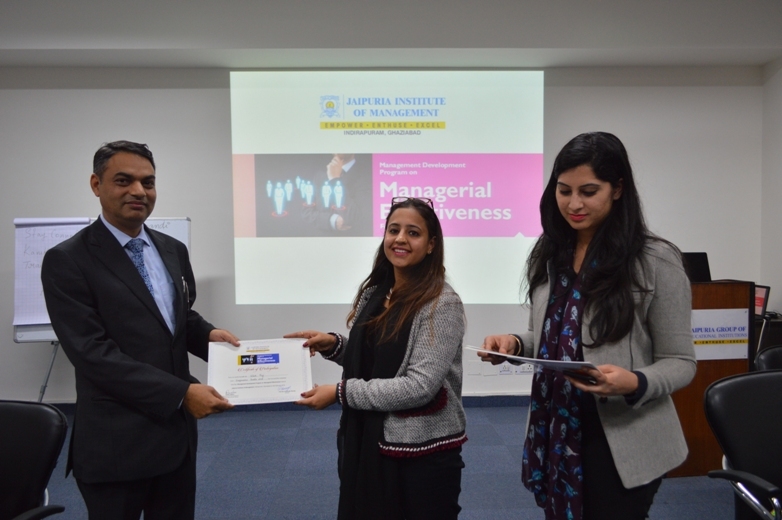 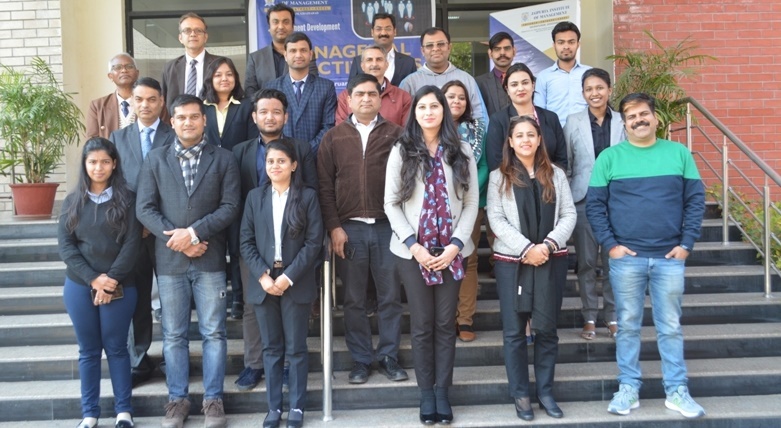 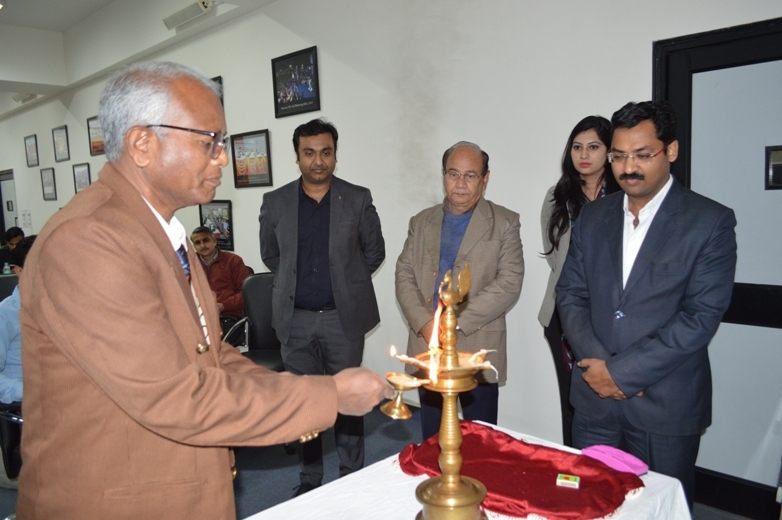 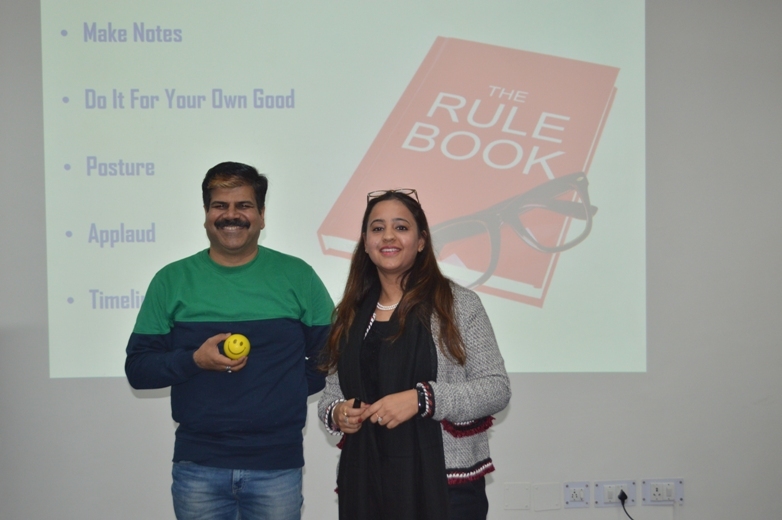 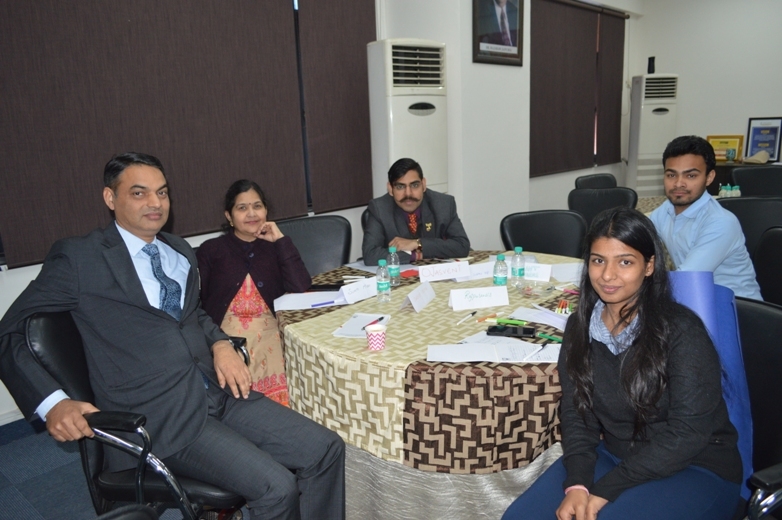 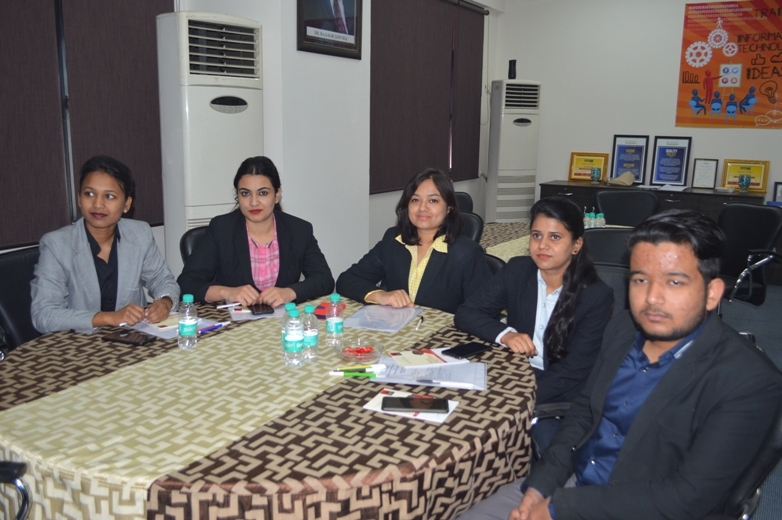 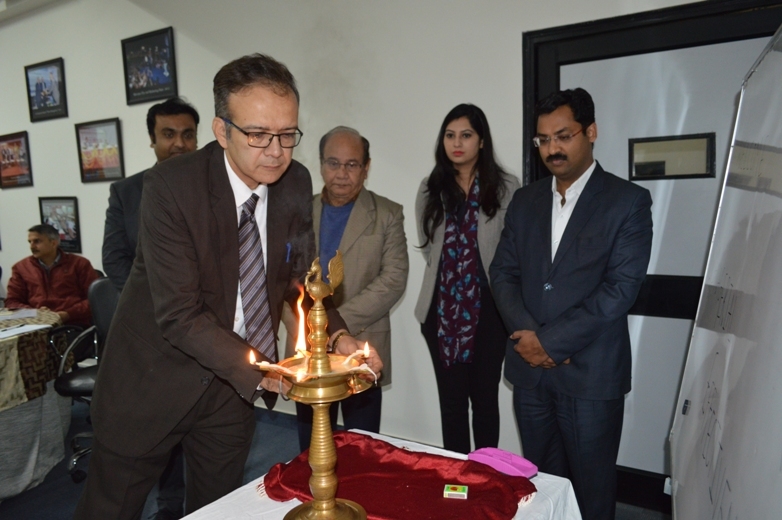 Jaipuria Institute of Management had organized a one day MDP on Managerial Effectiveness. 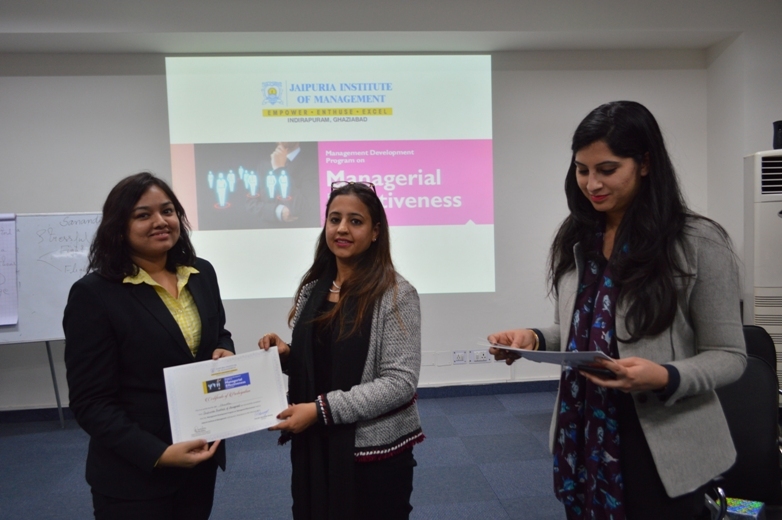 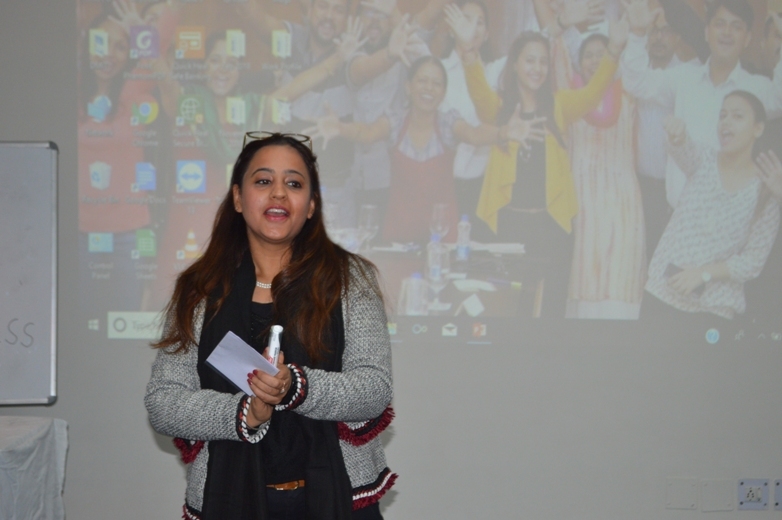 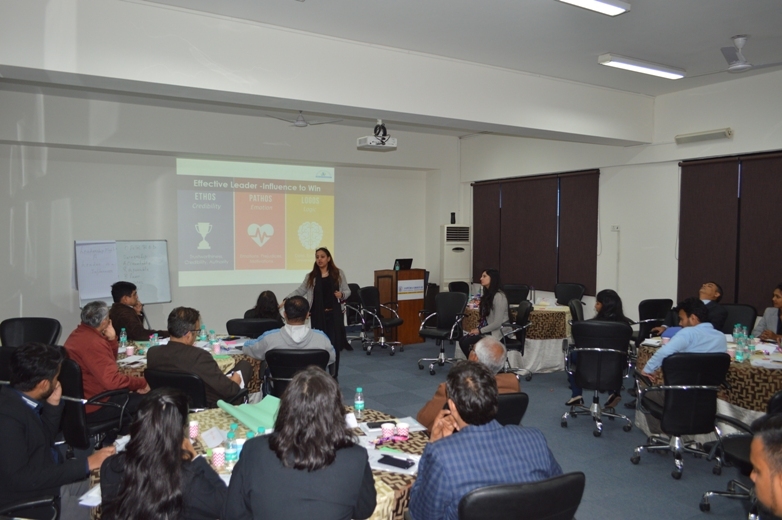 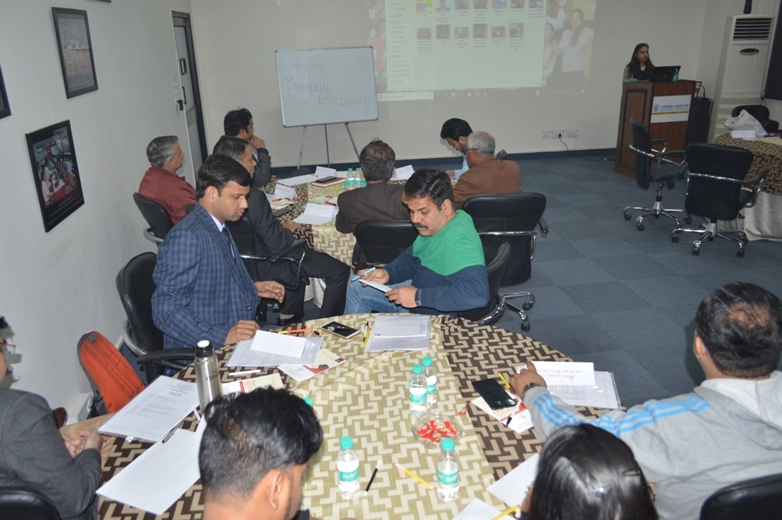 Ms. Kanika Mehra, Organizational Psychologist & Corporate Behavioural Trainer and Assistant Professor Sanandi Sachdeva undertook the training for various individuals ranging from various Corporates like Future Group, Engineers India Ltd, Angel Broking, Kotak Bank, V Launch Digital, Bikanervala Pvt Ltd. holding senior-level and middle-level positions. 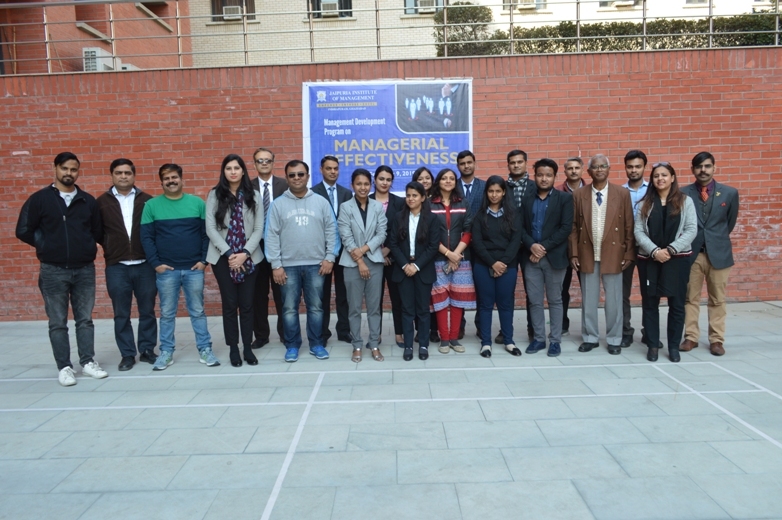 The MDP covered themes like good to great managers, developing self and positive assertive management, Verbal and Non-Verbal Communication Enhancement, Listening Skills, Leadership Management and Team Building, Conflict Management, and Stress Management. 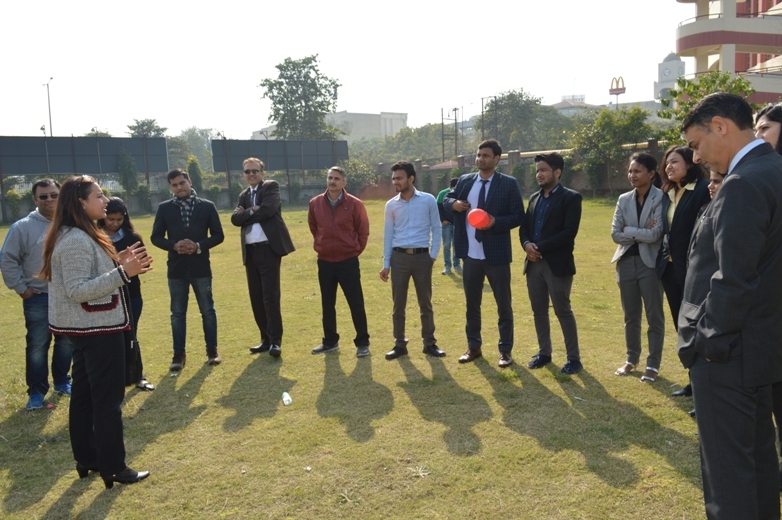 The MDP was based on Experiential Learning full of activities that involved high participation from the participants. 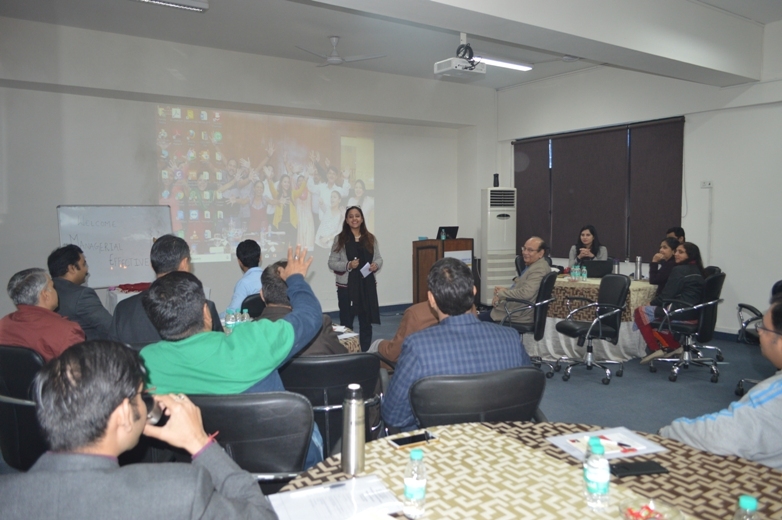 It was an excellent workshop based on two-way communication.